In an article, "A Conversation with Benjamin F. Wilson," Ben discusses his upbringing in Jackson, Mississippi, during the Civil Rights Era, his education and early career, and his thoughts on diversity challenges in the legal profession. A tireless advocate for diversity and inclusion, in 2016 Ben received the Houston Medallion of Merit from the Washington Bar Association, and te Thurgood Marshall College Fund’s Thurgood Marshall Legacy Award. 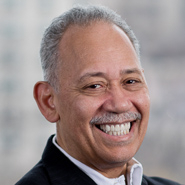 He recieved the 2014 Spirit of Excellence award from the American Bar Association Commission on Racial and Ethnic Diversity in the Profession, and the 2013 Dedication to Diversity and Justice award from the ABA Section of Environment, Energy, and Resources.